Jungle Brothers’ debut album. Release date: November 8, 1988. 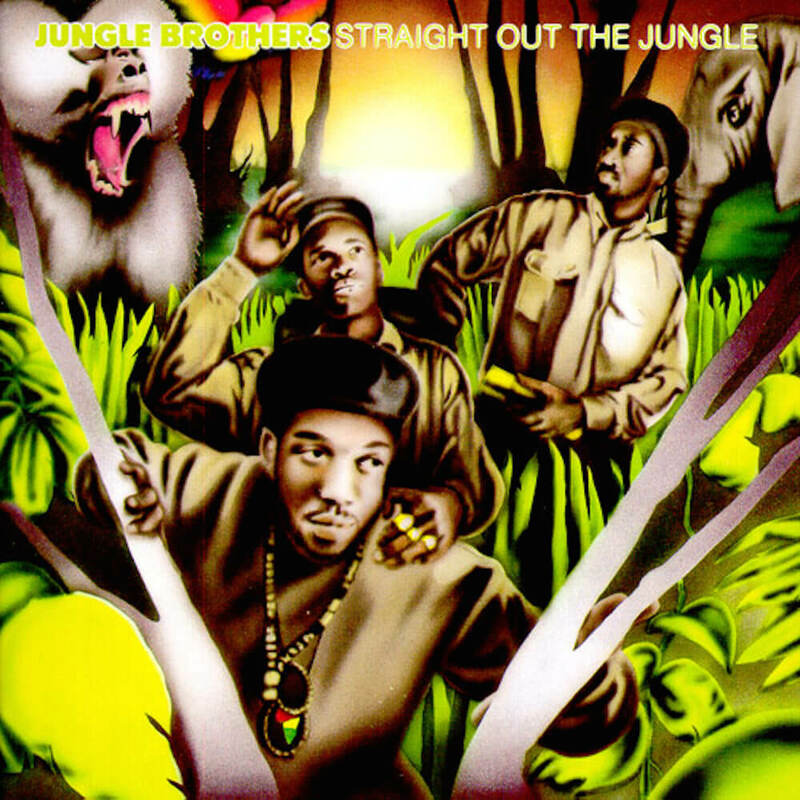 Straight out the Jungle is the debut album from Hip Hop group Jungle Brothers. The album marked the beginning of the Native Tongues collective, which later featured popular artists such as De La Soul, A Tribe Called Quest and Black Sheep. In 1998, the album was selected as one of The Source‍ ’​s 100 Best Rap Albums Ever. The album received a perfect 5-of-five rating from Allmusic and The Source Magazine. Straight out the Jungle is ranked #10 on HHGA’s Top 30 album of 1988.